An Online GIMP Course which was offered in 2005 via LinuxChix. Video of a 90-minute GIMP tutorial I gave at LinuxConf AU 2007: available as a downloadable Ogg Theora file (see the Ogg FAQ for how to play Ogg Theora on Windows and Mac), or as a Java based stream. GIMP plug-ins and scripts by the author. for sharing artwork, tips etc. Most of these have tutorial sections, and there's a lot of overlap between this list and the list of tutorial sites, below. Digital Image Representation, a discussion of different image formats and the difference between raster and vector images. Tools on flamingtext.com Lots of weird and neat uses of GIMP. The author's page on Linux and Open Source Imaging. Changing Sky Color by decomposing into H, S, and V layers. (This is unfortunately gone now, but you can get the text from the internet archive). Recompose the Sky, a newer tutorial based on the same technique. HDR with GIMP which also links to this Luminous Landscape PS tutorial. GIMP Plug-In Registry It's not always up to date, but it's worth searching here first. 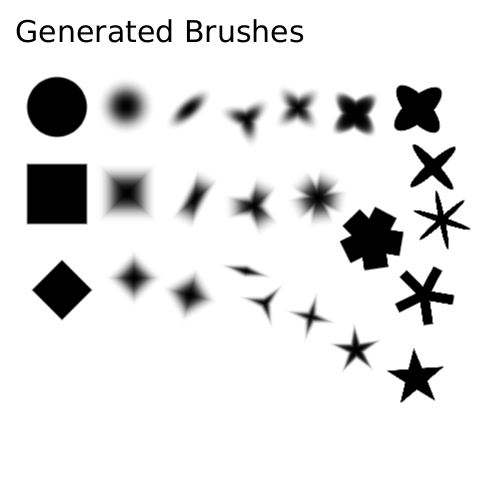 Resynthesizer helps in removing objects from a complicated textured background. GREYCstoration can remove noise from a photo, or cartoonify a photo. Focus Blur lets you create all kinds of interesting effects simulating shallow depth of field. GAP: the GIMP Animation Package for making movies far beyond the simple animated GIF in Chapter 3. David's Batch Processor lets you make simple changes (rotate, crop, scale etc.) to a bunch of images at once.